Corfu is one of the most famous islands in Greece for its major historical interest and unique natural beauty. The Ionian island is blessed with a rich verdant environment and gorgeous landscape that attracts thousands of visitors throughout the year. The Venetian town of Corfu is a sightseeing itself and counts on unique architectural marvels which are considered some of the best-preserved buildings in Europe. 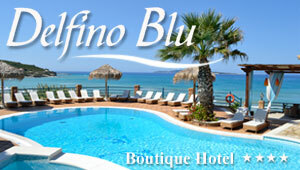 The beautiful surrounds of Corfu consist of idyllic beaches, green hills and charming scenery. The inhabited monasteries and picturesque houses that are scattered along the its mountain sides give breathtaking views to the sea. The lively resorts of Corfu, like Benitses and Paleokatsritsa, will give you a sense of cosmopolitan atmosphere but the quieter villages are characteristic examples of the local tradition. This section proposes a map of Corfu with all the major locations of the island. View where is Corfu on a map of Greece. View the map of Corfu with Google map and discover the villages, the beaches but also all major sightseeing like ancient sites, museums, churches.